Every Disney theme park has its version of the Emporium, and Tokyo DisneySea is no exception. The name is a little fancier, but the concept is the same—a large store near the main entrance that sells a general variety of park souvenirs. Plush toys, t-shirts, writing utensils, mugs, hats, and more are all here, all Disney-ized in one way or another. 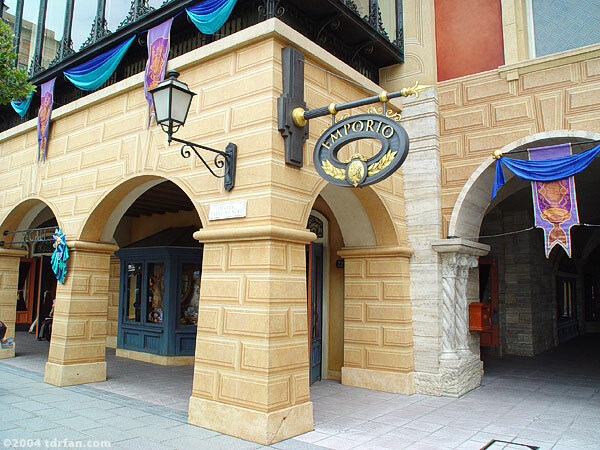 Emporio is not only the biggest shop in DisneySea, it's also usually the most crowded, especially at closing time. If you are looking for your basic souvenirs, you might want to skip Emporio and instead stop at Bon Voyage near Maihama Station (which stays open an hour later than the Resort's theme parks) on your way out. If you're looking for something more specialized (like a DisneySea watch), you're better off visiting one of the specialty shops around Mediterranean Harbor which are almost always less crowded.